With water filtration designed for the International Space Station. For Free Shipping in the US, enter the coupon code okoshipfree when checking out. 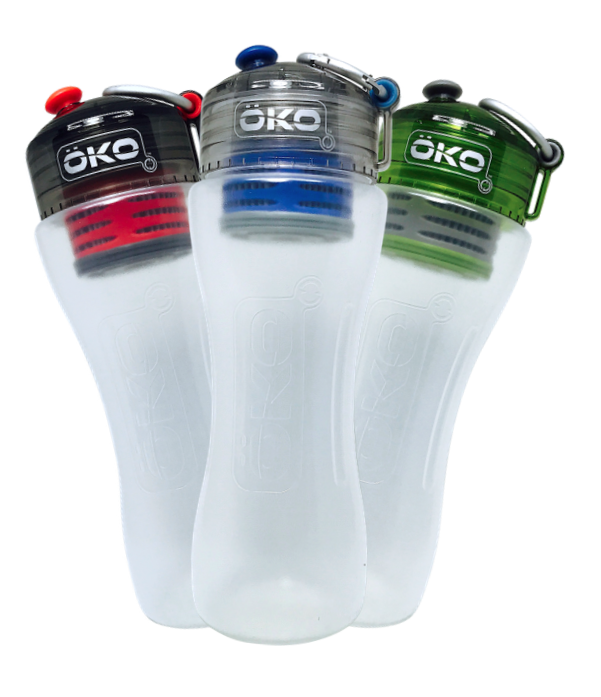 This is the ÖKO Original Advanced Filtration Bottle in the 650 ml size. Each bottle ordered comes with one Level 2 Advanced Filter. The ÖKO water bottle combines technology originally designed for use in NASA’s International Space Station, with an elegant bottle design made of 100% FDA compliant materials. 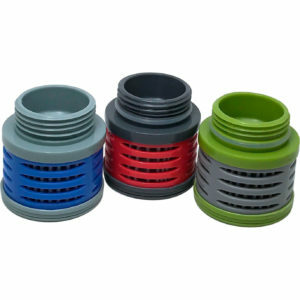 The combination of filter materials yields a unique filtration bottle which is lightweight and versatile. It can deliver the highest quality water from innumerable water sources in over 140 countries. 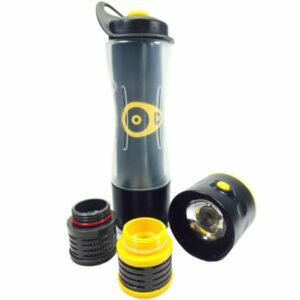 With a filter capacity of 100 gallons, the ÖKO level-2 filter (included with every bottle), has been lab tested to remove 99.9999% of giardia lamblia & cryptosporidium, two of the most common contaminants found in open water sources worldwide. Change the ÖKO-650 (0.65L) bottle filter every 580 refills! 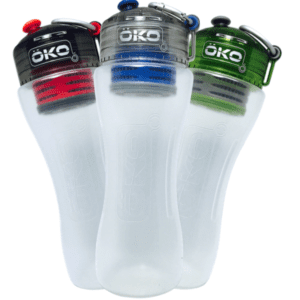 ÖKO’s patented water bottles are made from a customized blend of plastics that have passed stringent SGS independent testing and verification for FDA food contact safety. The bottle cap is made of Tritan®, a BPA-free clear hard plastic renowned for its durability and clarity. 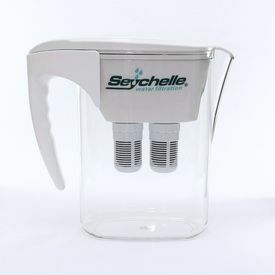 It also allows the user to see water filtration in action. The bottle itself is made of an ultra-light polypropylene material commonly used in food storage containers. The material has a high temperature resistance. It does not leach chemicals or smell when exposed to warmer temperatures. The semi-soft nozzle and washer are not only functional, they add an attractive design element. The contoured shape makes the bottle easy to grip and comfortable to hold. The Ö-ring carabiner is used to carry the filtering water bottle, or hook it onto a bag or something else. All Bottles come with an ÖKO Level-2 Advanced Filter. 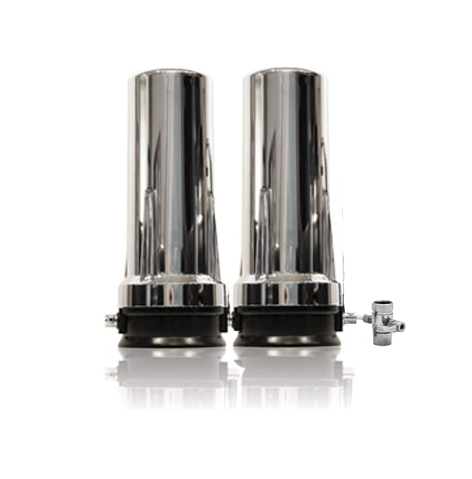 ÖKO Level-2 filtration was originally developed for NASA and used in the International Space Station. This is state of-the-art water filtration technology in an affordable filtering water bottle. In addition to a 2 micron pore size, the water filter material uses a positively-charged electro-adsorption (attraction and retention). This important process draws and traps harmful agents much smaller than its pore size. Charge fields, activated upon water contact extend 1 micron each to virtually close the pore to any intruding agents. ÖKO level-2 filter lab tests reflect removal of 99.994% of e-coli, 99.9999% of cryptosporidium and giardia lamblia, the most commonly found bacteria and microorganisms in lakes, streams and international water sources. A stack of over 400 such pores in the 0.8 mm thickness of the filter create a “tortuous path” which a harmful agent would have to travel within the filter.